Sometimes you have recipes in your dinner rotation that are so amazing that if you do not share them, it’s a crime! This is how I feel about my chili recipe. It is AH-Ma-Zing! This chili is so good that my pickiest eater actually asks for me to make it on a regular basis. 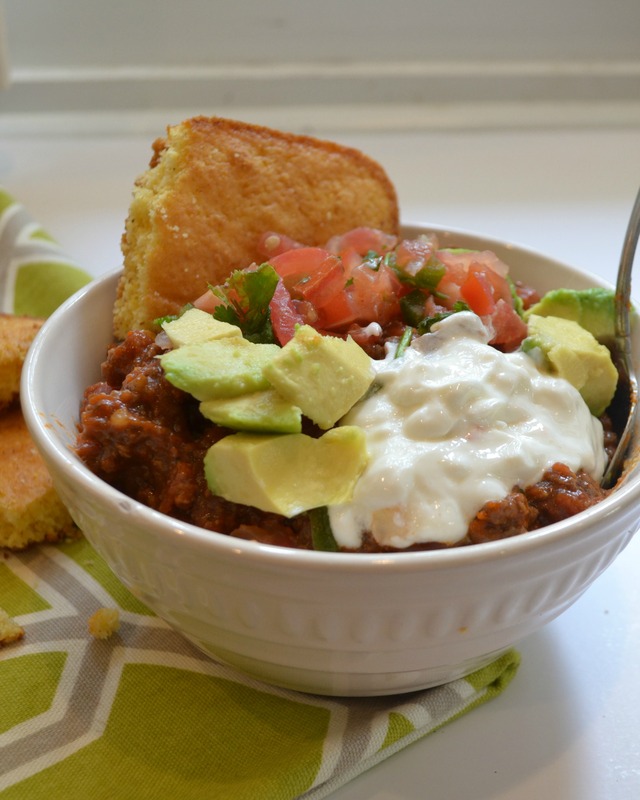 You know what is even better about this chili? It is clean eating, whole 30, weight watchers and Paleo approved. 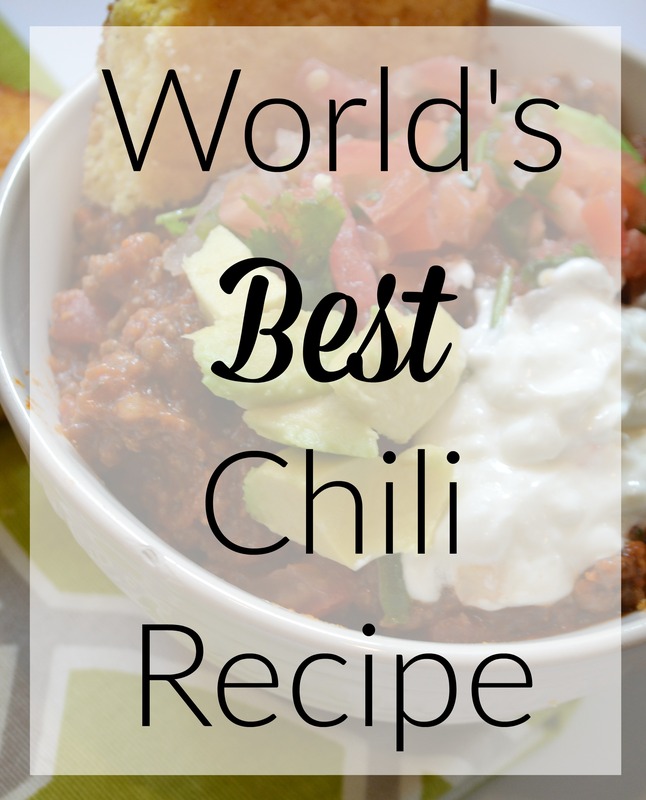 It is hands down The World’s BEST Chili! I promise this chili will not disappoint. If you have cold weather blowing through over the next few days like we do, add this to your meal plan this week! In a large pot cover the bottom of your pot with olive oil. Heat the oil on medium heat and add onions. Cook onions until soft and add beef. Ground the beef and when almost done add ranch dip mix and 2 tbs of chili powder. Mix beef mixture and seasonings well. Once mixed add diced tomatoes, tomato paste, chilies, and beef broth and remaining seasonings. Make sure all ingredients are mixed well and let simmer for 2 hours. So tell us, what are some of your go to recipes that we have to try? We are always looking for must try recipes to add to our menus! Besides the avocado, what are the other toppings? That’s an insane amount of salt… Is it a typo?